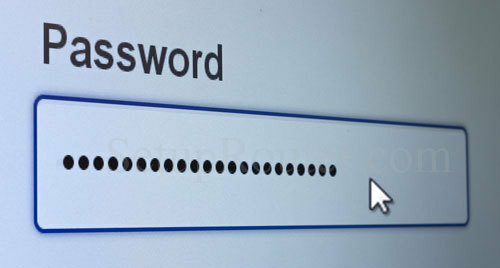 OPINION: Why people share their streaming passwords… and they shouldn’t. So the other day I was having lunch with a friend and his son. The son is in his 20s, and lives on his own. We were talking about Mr. Robot, which is not coming back until the fall much to our mutual chagrin. Then he gleefully told me that he is still working on getting a password to be able to stream USA on his phone, because he doesn’t have traditional TV service of any kind. He finished up by telling me that he is in the process of “collecting” passwords — he uses one person’s HBO GO password, someone else’s Netflix, and so on. He was grinning when he told me of this plan of his to accumulate every streaming service and pay for none of them. Look, I know what it’s like to start out, and have a “cavalier” attitude toward this sort of petty theft. I’ll freely admit when I was his age, I copied music from friends’ collections. A meaningless instance, I told myself, shrinkage of this type is built into the budget. My way of “sticking it to the man.” I think if we were all honest, we would all think back to a time when we justified small criminal offenses that way. Today’s kids think that way about television, and there’s something a little insidious and scary about that. In my album-duping days, I never once thought that music should be free, or that it was some sort of gross unfairness that anyone anywhere had to pay for the latest Dire Straits record. But, in today’s video-sharing culture, I really honestly believe there are large chunks of people who believe that it’s an affront to society that anyone, anywhere should pay for any sort of consumed media. I think that while media piracy been with us as long as there have been recordings, it’s only in the 21st century that we’re seeing it on the scale that it is now. For a while, piracy seemed to be on the decline, because Steve Jobs’ system of charging fair prices for media and being able to get just what you wanted… actually worked. And then streaming came along, and at first it wasn’t too much of a problem because again it was fairly priced and you didn’t mind paying $9.99 a month for Netflix which included discs and a very large on-demand streaming library. Then the floodgates opened. If you are legitimately going to pay for all the streaming services you need to get the shows you want, it’s easily $50 a month, and that’s the point where you’re almost better off with cable, except that some stuff is streaming-only. So potentially, you’re paying over $125 a month to get what you get. When people feel like they’re not getting good value for their money, they feel justified in taking something for free. And I’ll spare you the typical rant about how this hurts everyone, how it drives costs up because the few people who do pay for something are bearing the burden of all the piracy. You know that, of course. And yet, if you’re not stealing someone’s passwords, if you’re not sharing them with someone, you know someone who does. It’s just that common. It seems to me that it’s time to start looking again at what we get for the money. I do think where streaming is concerned, we need to start looking at an a la carte model again. Maybe Netflix or Hulu could give you subscriptions for $3.99/month that only include one show. Maybe HBO could sell you a pass for $3.99 that only includes Game of Thrones. From there they could give you a preview of other content but if you don’t want it, they should let you watch what you want. In my opinion, $3.99 for one show beats $0.00 from the person who’s using Mom’s Netflix password. Obviously, you’re not going to change the world if you give up password-sharing, and you’re not going to wreck the world if you don’t. But also, it’s not 100% up to the content providers to make this all work out right. They need your help too. The alternative is honestly that the quality TV that we all enjoy right now is just going to disappear.